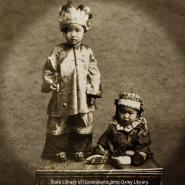 The Religious History Association is affiliated to the Australian Historical Association, which is holding it’s Annual Conference in 2019 on 8-12 July at the University of Southern Queensland, Toowoomba. The conference theme is ‘Local Communities, Global Networks’. This is of great relevance to those working in aspects of religious history. The keynote speaker for the RHA stream will be Professor Sylvester A. Johnson, author of African-American Religions, 1500-2000: Colonialism, Democracy and Freedom (Cambridge, 2015) as well as recent works on religion and the FBI and founding director of the Virginia Tech Center for Humanities. PLEASE NOTE: The deadline for RHA proposals is 28 February 2019. The conveners of the Religious History Association stream invite submissions for papers that explore the theme of ‘Local Communities, Global Networks’ as it relates to the history of religion. Very few aspects of human life have shaped local communities and global networks – and especially the relationship between the two – as consistently as religious belief, practice and institutions. We therefore encourage proposals for papers or panels that consider the relationship between the local and the global in relation to religion in any time or place. Select the RHA option during the online submission process. To submit a paper, return to the call for papers information on the event homepage. Please direct any questions to the stream conveners Michael Thompson ([email protected]) or Joanna Cruickshank ([email protected]).